Cincinnati native Lisa Schuster is a well-known abstract floral painter. Over the past twenty years she has created hundreds of paintings in wildly different genres, using various mediums and techniques. 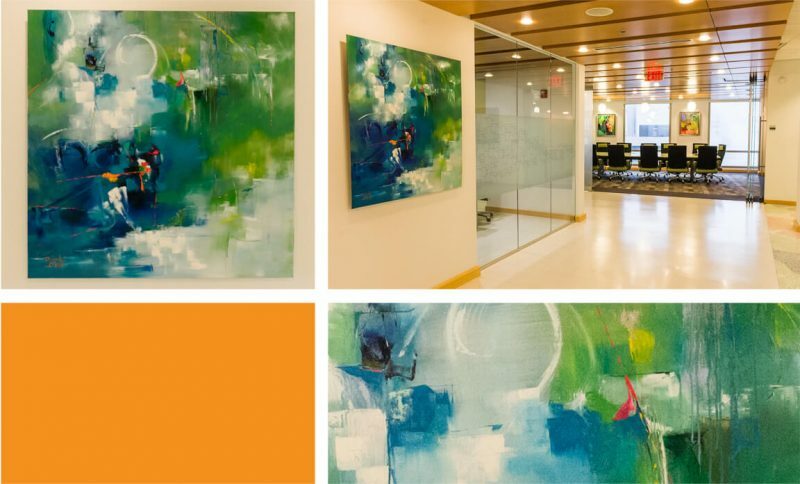 In the past ten years she has focused primarily on her Abstract (oil on metal) and Fine Art (oil on canvas) collections. Lisa says that working in the two vastly different styles, abstract and representational, give her a sense of balance and discipline. For the most part, Lisa is self-taught; however, she has studied perspective drawing at the Toledo Art Museum and figurative painting at the Cincinnati Art Academy. Lisa has also studied classical realism under Maestro John Angel at the Angel Academy of Art in Florence, Italy and plein air painting with Victoria Brooks in Santorini, Greece.